So I dubbed 2016 the “Year Nikki couldn’t get her SH** together”. In every area of my life- work, family, extracurriculars and CTMH- I was constantly a step behind where I should have been. 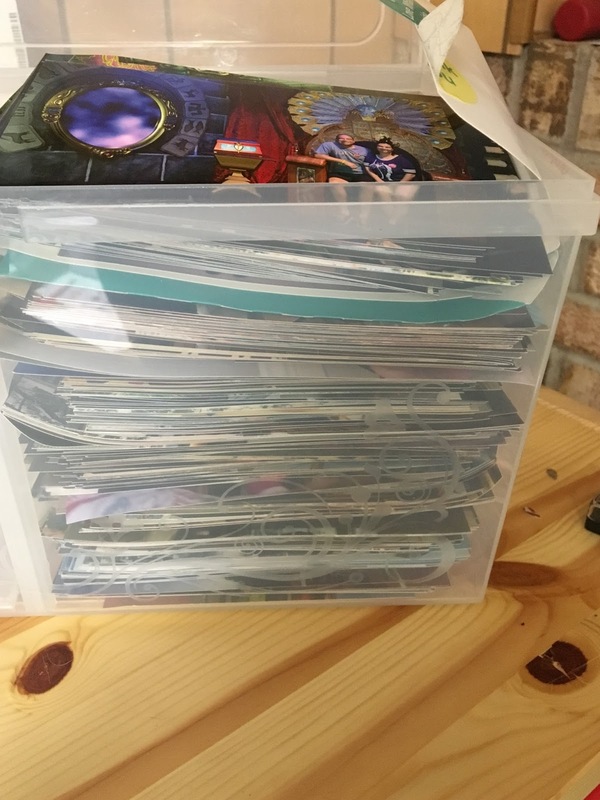 Since I did not have a monthly club in 2016, I got massively behind on scrapbooking and couldn’t get organized to offer more than a few workshops all year. To give you an idea, here is a picture of layouts I have made that do not have any pictures on them. It’s a HUGE stack! 1. I will complete one of those premade layouts each week. I will post here to stay accountable. Anyone else in? 2. I will be offering 3 clubs each month. 2 will be non commitment (but I will need a minimum number of people to plan to come in order to hold). One, the school years albume will be a commitment due to the cost of the workshop, but we will make one grade each month (except the first and last month- we will do 2 grades those months to account for Kindergarten and not starting until Feb). I will post details for these clubs by the end of the weekend. 3. I will be offering a few large card workshops throughout the year as well as scrapbooking workshops where we make multiple layouts. 4. 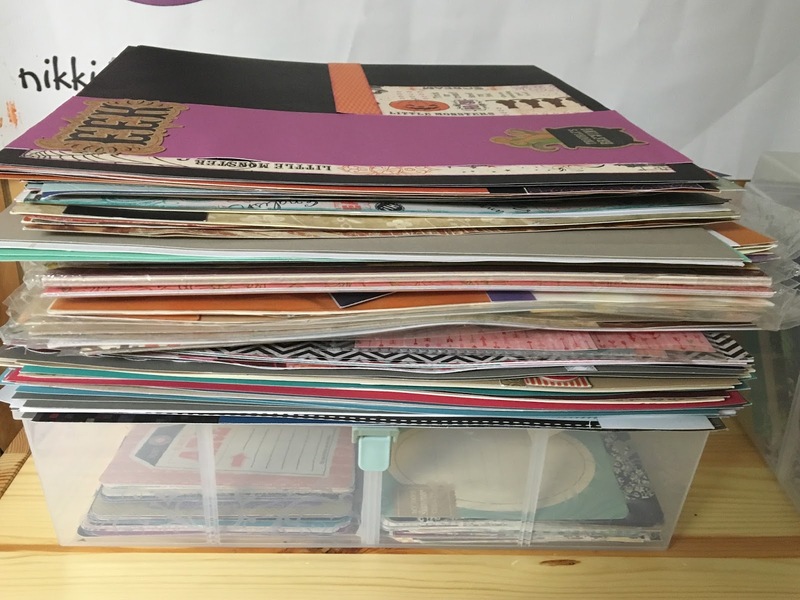 I’m going to sent out a survey to see what type of paper crafting workshops (other than scrapbooking and cardmaking) people may want to participate in, please send me your email (if you don’t already receive my newsletter) or make sure you are on my facebook page. 5. I will post a short technique video every week on my you tube channel. I posted one today on Sandpaper distressing. So I think that is a good start! Is anyone with me on trying to get more layouts done this year? If so leave me a comment here or on one of my social media accounts and feel free to post your layouts! if you use the hashtags #nikkidscrafty and #gettinglayoutsdonein2017 we can track everyone’s creations! Have a great and Happy 2017!